More vulnerable people in South Wales will be helped by Wales & West Utilities after South Wales Fire and Rescue Service received training on the vast range of support measures and services available. The gas emergency and pipeline service linked with partners including Care & Repair Cymru, South Wales Fire & Rescue Service and Warm Wales, to educate them on dealing with people in vulnerable situations, whilst also providing them with the latest information on the support measures Wales & West Utilities has to offer, including signing up to the Priority Service Register, raising awareness of Carbon Monoxide safety, low cost gas connections and locking cooker valves, all of which help people live independently for longer. 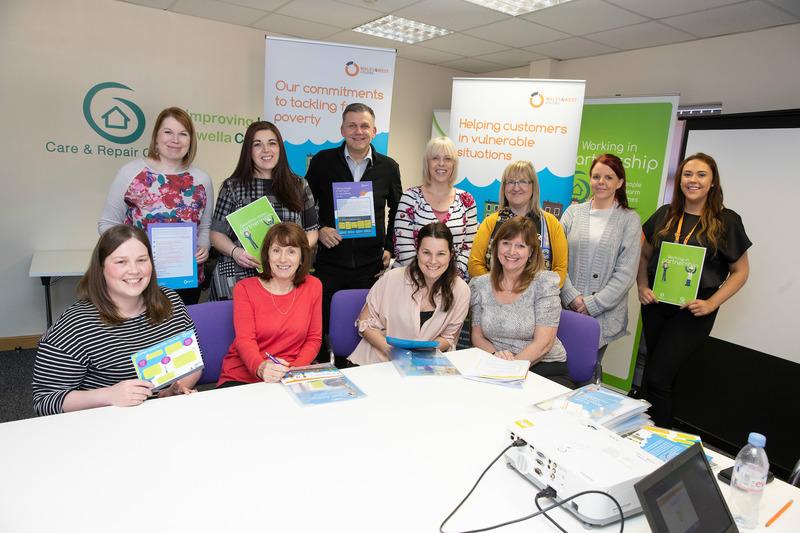 Wales & West Utilities, which looks after the pipes that keep the gas flowing to heat homes and power businesses across South Wales has developed partnerships with such organisations to reach the most vulnerable people in society and provide them with better support and improved access to services. “Our partnerships are successful and by working together we are helping more people locally find out if they can get additional support regarding home safety, energy efficiency home upgrades, tariff switching, income maximisation and debt advice. Wales & West Utilities offers a range of free services including the Priority Services Register, Warm Home Assistance Scheme as well other initiatives to raise awareness of the dangers of carbon monoxide poisoning. The company was the first gas network to have been recognised for meeting requirements, in line with the prestigious British Standard 18477, for its work to help vulnerable customers. “We’re committed to keeping the gas flowing to keep people in the communities we serve safe and warm. But our partnerships let us support those most in need in other ways – and allow us to reach people that we wouldn’t be able to otherwise. Wales & West Utilities, the gas emergency and pipeline service that serves Wales and the south west of England, puts customers at the heart of the business and is rated the top utility company in the UK for customer service. If anyone smells gas, thinks they have a gas leak, or suspects carbon monoxide poisoning, they should call us on 0800 111 999 and our engineers will be there to help, day or night.